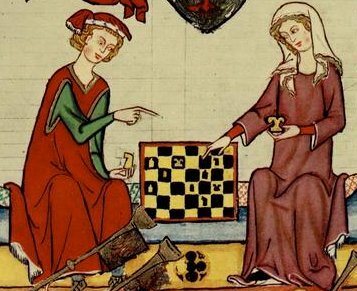 A two-day workshop covering historical and modern aspects of games and dialogues in logic. Studies in the history of logic have shown that the medieval traditions, both in western Europe and in India, have many distinctive dialogical and epistemological characteristics. As a result, they have much more in common with each other than they do mathematical logic of the 1950's. Recently, it has become apparent that these shared characteristics can be fruitfully modeled in the context of modern developments in logic, which are dynamic and dialogical in flavor. We believe that investigating the common properties of these two historical approaches can advance our understanding of these philosophical and historical traditions with the help of recent technical advances in dialogical and game semantics and dialogue games. The purpose of this workshop is to bring together LogICCC researchers from both the philosophical and technical traditions to provide a spring-board for collaboration and potential cross-discipline applications, allowing people working in both historical traditions, the Western and the Indian, to gain knowledge of current modeling techniques and those on the technical side access to new problems and theories to model. The four fields that we intend to represent are: the dialogical tradition in Indian logic, obligationes in medieval Western logic, dialogical semantics and dialogue models, and games for dialogues and semantics. Each day there will be two tutorials; the first day will cover the historical topics and the second day will cover the modern techniques. The workshop DiG is a LogICCC networking event. One of the main purposes of these events is to bring together researchers from different LogICCC CRPs. In order to encourage this, we are offering four travel grants (up to a maximum of EUR 365) for researchers affiliated to one of the eight LogICCC CRPs to attend this meeting. If you are interested, please send your application for travel funding to S.L.Uckelman@uva.nl before 15 January 2010. In the application, please state your contact information, your LogICCC affiliation (you have to be an officially registered researcher of one of the partners in one of the eight LogICCC projects), and a brief statement (5-10 lines) why you are interested in attending the workshop. Slides: "Game Semantics for Multi-Player Logics of Imperfect Information"
Slides: "On the Dialogical Approach to Semantics"
Slides: "From Argument Games to Persuasion Dialogues"
This event, as part of the European Science Foundation EUROCORES Programme LogICCC, is supported by funds from AKA, DASTI, DFG, FCT, FWF, FNRS, GACR, ISF, MICINN, NWO, NZZ, TÜBITAK, VR. These pages are maintained by Sara L. Uckelman and were last updated 15 June 2010.